Several cryptocurrencies, most notably Bitcoin, are now starting to get accepted as a mode of payment by art galleries as well as individual artists all around the world. A breakthrough into the $60 billion world of art provides tremendous opportunities for the growth of this financial technology, but does it come at a cost? Dadiani Fine Art on London’s famous Cork Street became the first gallery in the very traditional field of art to accept cryptocurrencies from their customers who hail from different countries. The gallery’s owner, Eleesa Dadiani, herself believes strongly in the essence of digital currencies and has, therefore, made the unprecedented move to accept crypto-payment channels such as Bitcoin, Ethereum, Ethereum Classic, Dash, Litecoin, and Monero. She even has plans in the work to launch the first gallery-based cryptocurrency DadiCoin (DDC). Dadiani believes that not only will this revitalize and open up the art world to a new kind of buyer, it will also have a knock on effect on other industries as this would be the first instance of a very ‘traditional’ industry adopting and therefore validating digital currencies. Cryptocurrencies will provide a bridge from the elitist, centralist fine art market to a decentralized open source world where many more will be able to become a part of this exhilarating market. Dadiani’s ground-breaking move comes in the wake of several successful Bitcoin penetrations into the art world. In June, Romanian artist Stefania Nistoreanu sold a painting to a Hong Kong based art collector for 2 Bitcoin ($4500 at the time) on website BitPremier. The transaction took a couple of seconds and with it, Nistoreanu became the latest member of a steadily increasing club of artists who are accepting digital currencies as payment for their works of art. Artists worldwide – including Matthias Dorfelt, Vesa Kivien, and Vega Macotela – are beginning to embrace cryptocurrencies, from creating cryptocurrency-inspired artwork to artistic renderings of what Bitcoin banknotes could look like. Cryptocurrency’s underlying Blockchain technology is also finding a place in the art world thanks in large part to its transparency and ability to “cut out the middleman”. 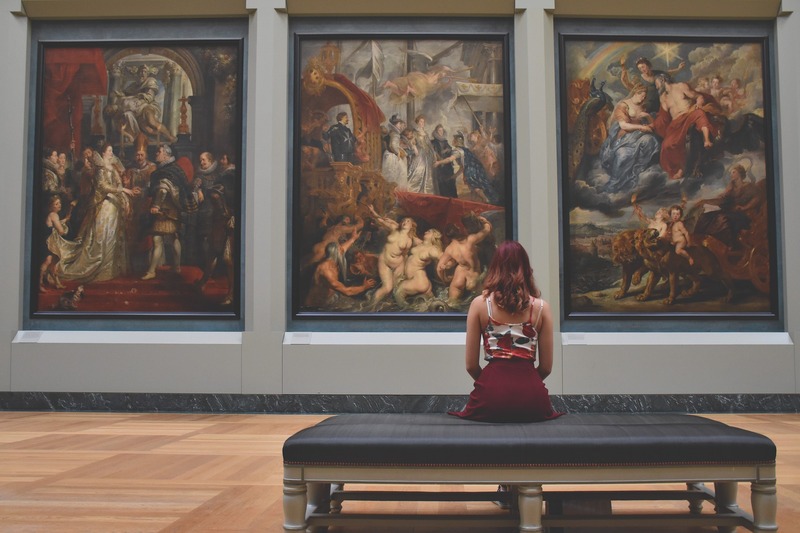 For instance, an online marketplace called Maecenas uses Ethereum Blockchain to provide art owners with an opportunity to sell shares in works of art that are worth more than $1 million. This gives them a cheaper alternative to banks in order to raise money. This makes high-end fine art accessible to even an ordinary person, who then has the option of selling their share anytime in the future. The art world’s acceptance of cryptocurrencies will surely enhance its credibility in the eyes of naysayers who have been quick to ridicule its lack of adoption by the more traditional and established industries. Ironically, those same naysayers, and those who decry cryptocurrency due to its shady association with illegal activities, have ignored the similarities between the two. 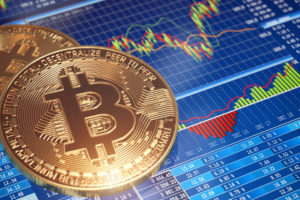 Both the art marketplace and cryptocurrency are largely (and some would say notoriously) unregulated and both have a history of being associated with illegal activities such as money laundering. The pseudo-anonymous nature of cryptocurrencies can easily be exploited for nefarious activities masked under the garb of art auctions. It is therefore paramount that strict regulations are enforced for cryptocurrency transactions in the art industry to ensure proper identification and catch any red flags. The nature of legislation is such that it builds upon itself with time. The broader purpose of cryptocurrencies should not be forgotten in a bid for accelerated growth, especially in an industry which has a well-documented past of promoting abusive acts that are detrimental to society as a whole. The cryptocurrency community stands to lose massively if the public loses trust in digital currencies due to myopic vision. Do you think the infiltration of cryptocurrencies into the art world will lead to a more widespread acceptance of them? Do you think the acceptance of cryptocurrencies by the art community is more beneficial than dangerous? Let us know your thoughts in the comments below.